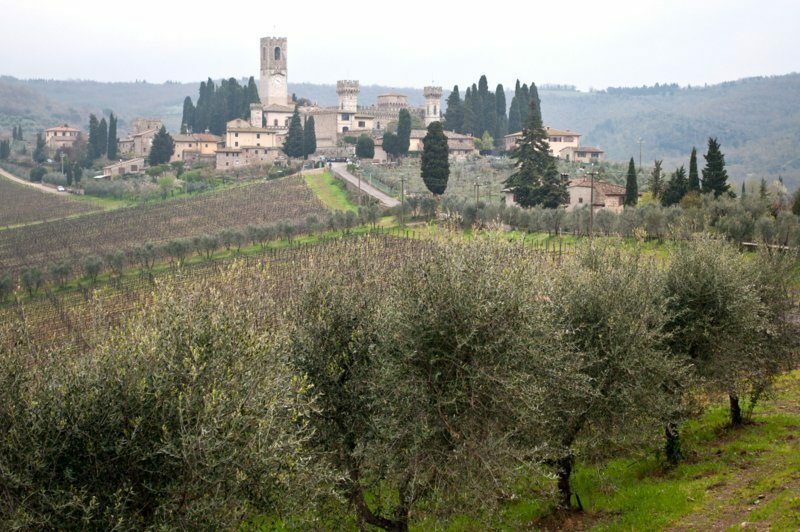 It would be wrong to visit Tuscany’s wine region of Chianti in Italy without stopping off at a vineyard or two to see Chianti Classico, the area’s most famous wine being made and, of course, to engage in a taste-test or two. 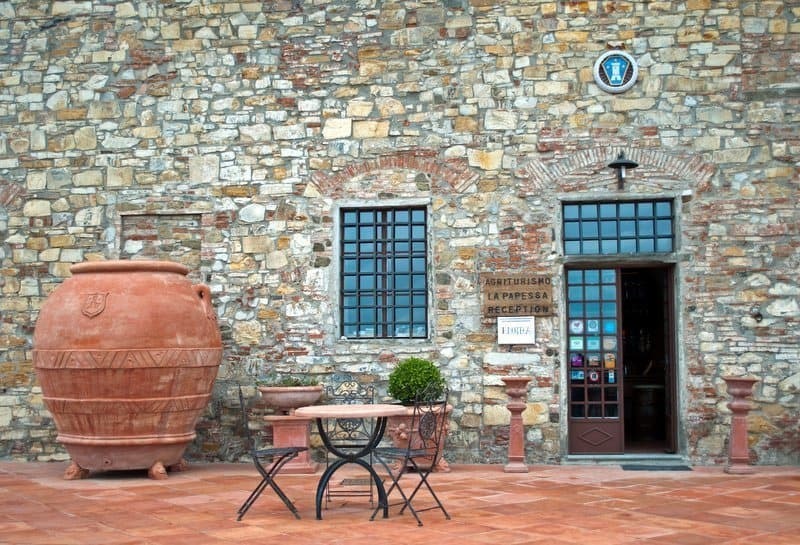 While in Tavarnelle Chianti we visited a variety of wine producers delivering exceptional wines – a brand new state-of-the-art winery, the oldest cellar in the region and a vineyard that’s experimenting with age-old wine production methods. 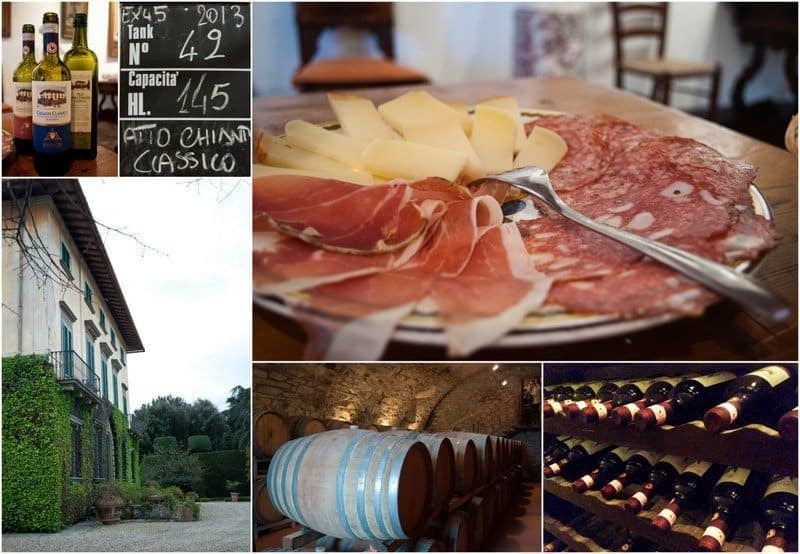 Join me on a mini wine tour of the Tavarnelle area of Chianti. 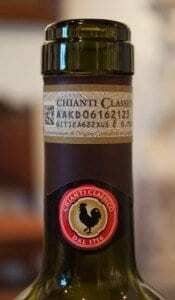 Chianti Classico, a medium-bodied red wine with cherry and nut undertones, was one of the first to be exported and has been made in Chianti since the thirteenth century. Strict regulations are upheld to be able to display the famous Gallo Nero – the Black Rooster label DOCG. Chianti wine must be made from at least 80% Sangiovese grape – producers can add up to 20% of other grapes to the blend – canaiolo, cabernet sauvignon, or merlot are often used – but the wine must be produced in the Chianti region. Our first stop was Cantina Antinori in Bargino. The Antinori family have been wine producers in Tuscany since 1385; that’s over 600 years and 26 generations to perfect their craft. 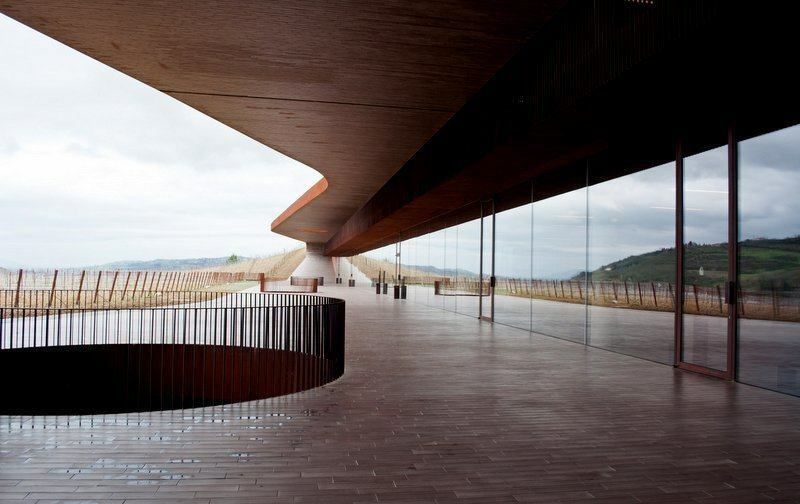 Given the history behind Florence’s Antinori family the new cellars and company HQ, which opened in 2013, have an incredibly modern concept but at the same time are rooted in the fertile Tuscan earth in which the Antinori family history has evolved. The cellars were designed by Archea Associati architectural studio in Florence with the concept that they would have greatest respect for the environment, Tuscan landscape and eventually become invisible and at one with its surroundings. Built into a hillside, the top of the hill was removed, the building installed and the ‘lid’ of the hill restored leaving minimal impact on the landscape. Once the Sangiovese vines on the slopes mature the building will become completely immersed into the landscape. We enter the winery from the underground car park via a vast corkscrew staircase and emerge on the cellar’s single curved terrace overlooking spectacular views of the Chianti countryside. The minimalistic building is a brownish rust colour to match the hues of the earth and constructed with natural, local materials; terracotta, wood, glass and an alloy of steel and copper. There’s a theme of round cut-out skylights, lines are gentle and simplistic curves mirror the contours of the land. 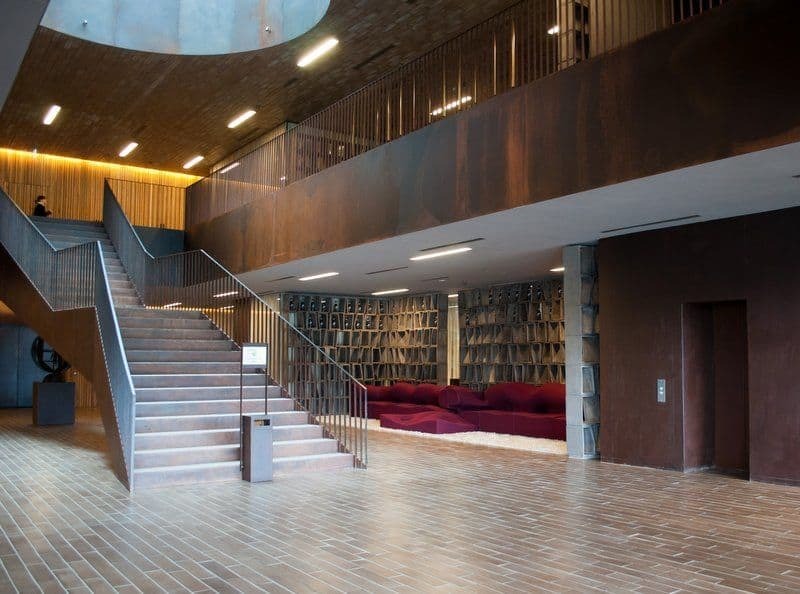 The interior is light, airy and spacious; the lobby displays information and pieces of Antinori history and art with a contemporary backdrop. Visitors can see the wine production in each stage, from the vineyard to the bottle, following the phases of fermentation and aging. We move from the lobby to the cellars via a wall which silently parts before us releasing the aroma of oak casks. The hill, and the terracotta tiles which line the cellars keep the temperature stable. We continue along a balcony overlooking pale vaulted cellars and cantilevered tasting rooms. It’s futuristic but at the same time church-like. We see where the grapes are sorted, only the best are selected and the huge stainless steel fermentation vats. 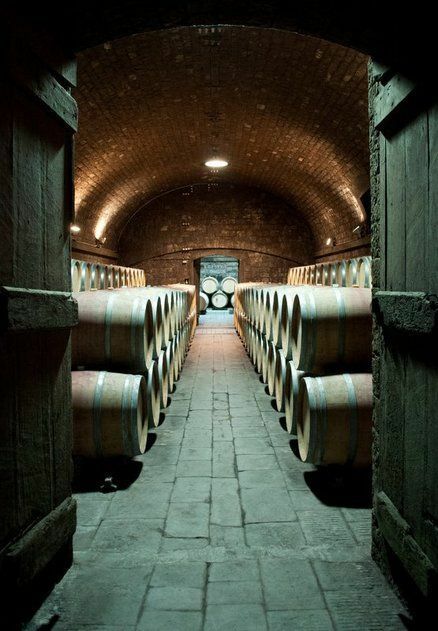 Row upon row of Hungarian oak barrels store 300 litres of wine per cask. Our visit finishes on the roof of the cellar in the Rinuccio 1180 restaurant where we devoured a wonderful lunch of local cheeses, salamis, olives and breads with a tasting of three delicious Antinori wines; a white Toscana 2012, Chianti Classico and a Chianti Reserva. A beautiful 18th century manor house in the oldest part of the Chianti Classico area is home to Fattoria di Montecchio. Located close to the medieval village of San Donato in Poggio the former hunting lodge is surrounded by an estate of over 273 hectares of land; 30 cultivated as vineyards, 20 set to olive groves and 40 as cropland. The historical farm complex is solely devoted to production of Chianti Classico DOCG while extra virgin olive oil is produced in the ancient oil mill. 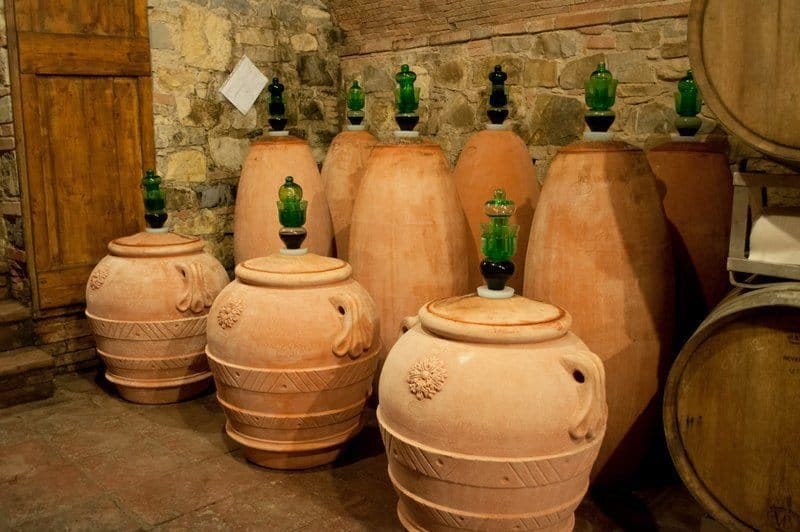 We visited the cellars and on-site kiln where frost-proof Terracotta is made. Garden ornaments are produced as well as the large terracotta casks. The estate is currently experimenting with this old method of wine fermentation instead of using oak barrels. 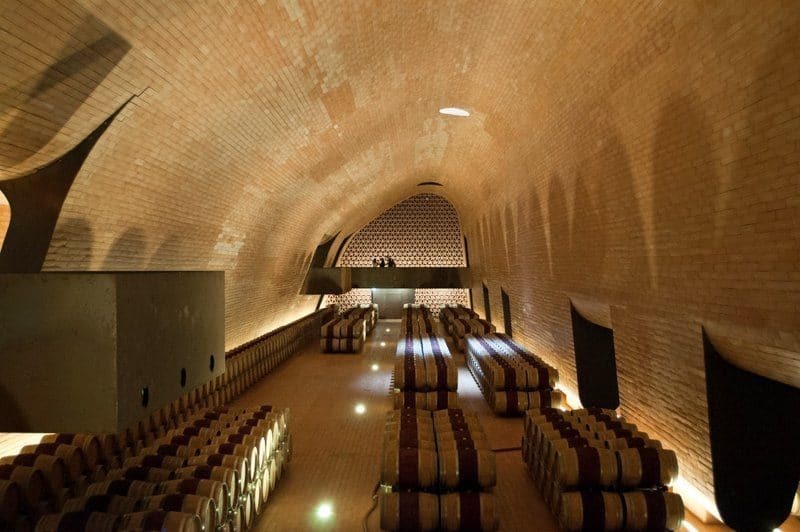 It was interesting to note the comparison with Cantina Antinori which was completely lined using terracotta tiles. 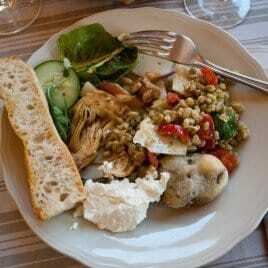 A light lunch followed of local cheese, salami cured meats and the exquisite home-produced olive oil. We tasted three delicious wines; a Chianti Classico Riserva, a Chianti Classico and a Rose – Pink Ponentino Tuscano. Free wine tasting is possible in the farm shop every day from Monday to Sunday – 10.00am to 7.00pm. Reservations aren’t required. The Badia a Passignano Abbey is an ancient monastery dating back possibly as far as 395 AD. It’s on the road running from Greve to San Donato and the surrounding vineyards are owned by the Antinori wine family. 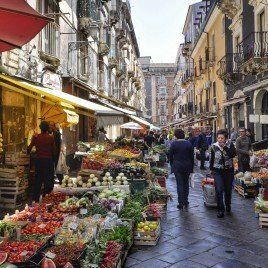 There’s a fine dining restaurant, L’Osteria, and an Antinori wine shop near to the entrance of the Abbey. 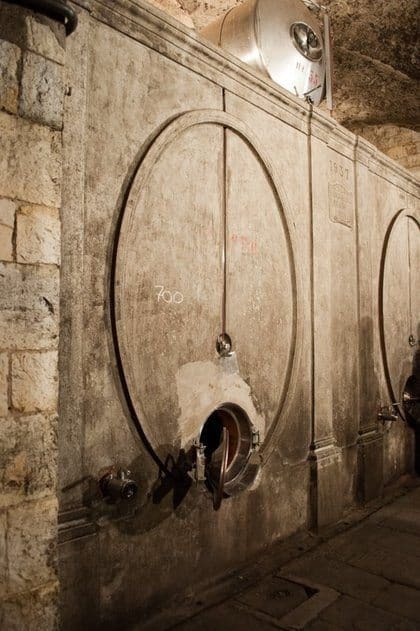 The Benedictine Monks of Vallombrosa still use the Abbey and allow Antinori to lease the ancient cellars for ageing the Chianti Classico Riserva di Badia a Passignano wine. 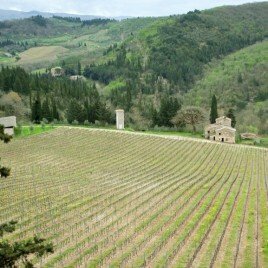 Although in the past the abbey played a vital role in Tuscan wine production they don’t allow Antinori to produce wine on the premises. 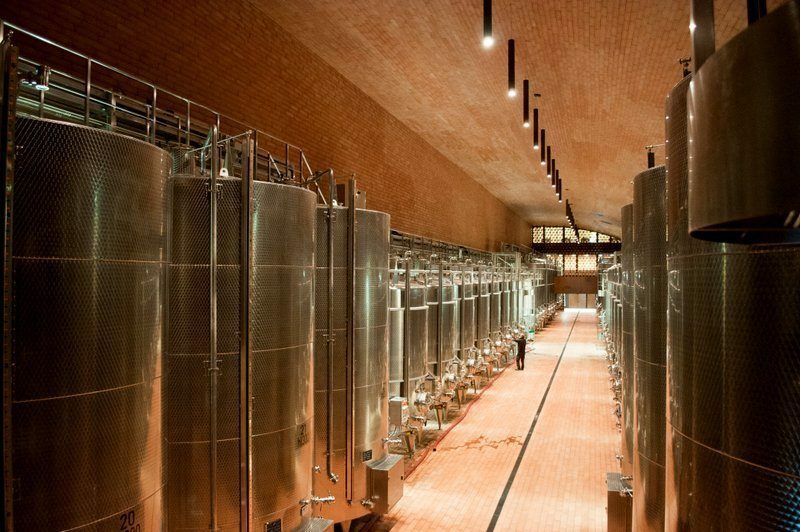 The ancient cellars of the abbey are in stark contrast to the brand new Antintori Winery in Bargino. 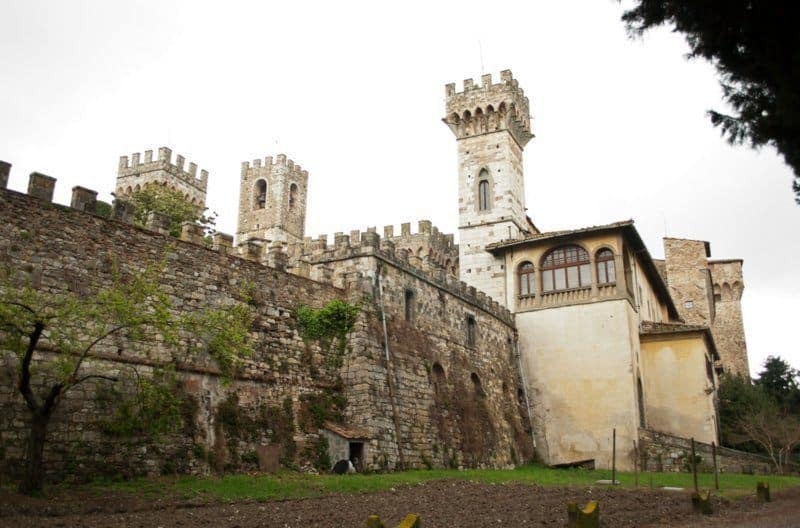 We took a tour of the wine cellars and the Abbey itself where Galileo Galilei once taught. The land around the abbey has been cultivated for winemaking for thousands of years and in 1983 a specimen of “vitis vinifera” dating back more than a thousand years was discovered on the land. The old concrete fermentation tanks used in the fifties are preserved and interesting to see but are no longer in use. The grapes cultivated on the land which surrounds the Abbey are all grafted from very old Sangiovese vines; the highest quality grapes are selected to pass through fermentation in modern stainless steel tanks. 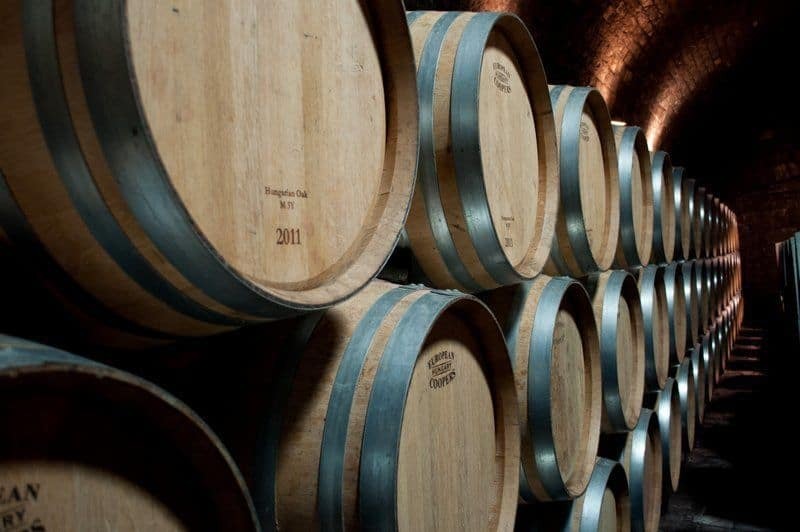 The wine is then transferred into Hungarian and French oak barriques for 14 months to age and then refined in the bottle for another year before being sold. 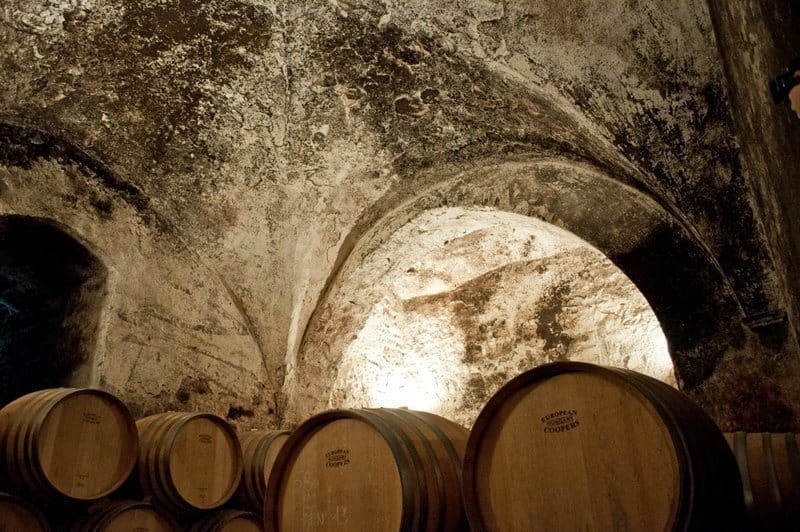 The vaulted cellars under the Abbey are constructed of thick stone walls to keep a constant humidity and temperature. ‘The Tunnel of Love’ below as eloquently described by our guide! So there you have just a few Chianti wineries and vineyards that we visited during our time in the Tavarnelle Val di Pesa area of Chianti in Tuscany. 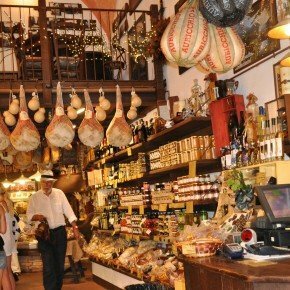 I’ll be bringing you more posts on the traditional Tuscan food we ate and about the historical art and artisans in the area. 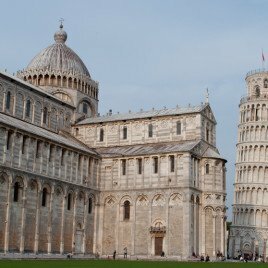 Disclosure: Accommodation, meals and tours were sponsored by the Municipality of Tavarnelle Val di Pesa but all thoughts, opinions, and enthusiasm for the wines of Tuscany are purely are my own. My thanks to all the people of Tavarnelle who helped make the trip so enjoyable. Badia a Passignano Abbey looks amazing. A visit is going on my bucket list. That’s a very beautiful place to experience the wine and foods. 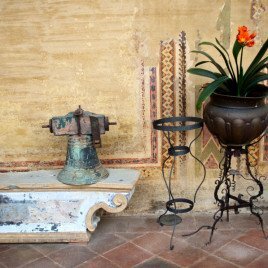 Tuscany’s Chianti Country is indeed captivating place, and your photos prove it all. Impressive post and shots Suzzane. It was more than good Jo – I’m just writing another post and have been totally transported back to Tuscany. San Donato with the well is a completely gorgeous little hamlet. What a fabulous experience! You’ve reallly got me hankering for a glass of Chianti right now. I’d really love to learn more about wine one day as well as wine and food pairing. My current knowledge barely scraps the surface. The little I learned about Chianti Classico has piqued my interest and I’ll definitely be learning more about wine in the future. Wine and food pairing is something I’d like to know more about too as I love to cook and knowing what would work best with which dish and why would be fascinating. What a wine trip you took me on here, absolutely wonderful post … and so different ones to – from the really sleek and modern – to the old and rustic. Not a fan of chianti wines for some reason, maybe because I have drank too many that hasn’t been good when I was younger. But I like Italian wines, partially Barolo and Montepulciano. Had an German fiance once that was very much into Italian wines, because he was taught by the CEO of Fiat. And every Christmas he got a case of outstanding wines – and every bottle had a personalized able with my fiance’s name on. Magical gift. You know I love a good winery and these look fantastic! I’ve not had the chance to go wine tasting in Chianti yet but will have to make sure I do. Love the contrasting styles of the wineries too, the Cantina Antinori reminds me of some ultra-modern vineyards I visited in Australia and makes a nice contrast with the others. 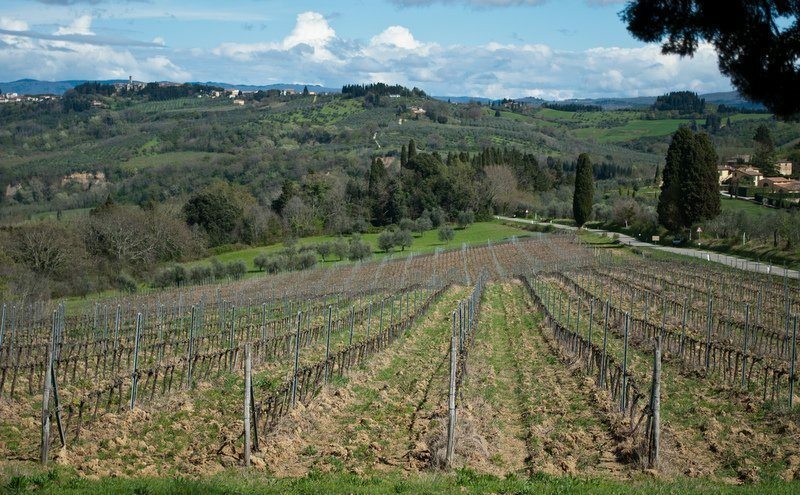 You can’t go more than a minute or two without spotting a vineyard in Tuscany – the perfect place for a wine tour! 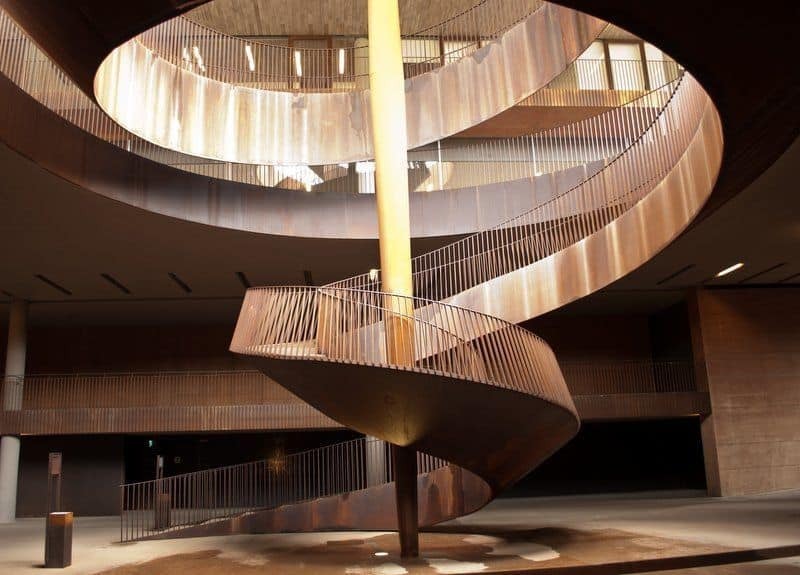 Cantina Antinori is an experience in itself just for the Architecture – and then there’s the wine…. !